Welcome to Country Club Plaza in west downtown Albuquerque, home of Ripe Inc.
Our Ripe logo made into a beautiful multi-layered wood sign by local artist, Thomas Tomlinson. Marie proudly taking it to the streets. Kern, baby! Kern! Hey Len, fancy a pint? Testing Adobe Illustrator's capacity for a maximum number of points. Can we match a PMS color on cardboard, uncoated label stock, coated cover stock, and aluminum in CMYK? No problem. We press check every print project so clients can Breathe easy! Donna amazed by Jared's (Levitated) collectible Rail Yards Market coins. The short-lived Joel-Peter Witkin and Len Romano Show. Deemed too weird for prime time. ACC Health video shoot. Cut! That's one for the outtakes reel. Len's stand up routine always has them collapsing in fits of laughter! CreativeMornings video shoot. 30 minutes of filming, 3 seconds of useful material. Len putting some heart into a presentation. Let's take a closer look, it's got to be perfect. Notebook gift set, designed by us, letterpressed by our friends at Porridge Papers. We check it once, then double and triple check it for good measure. Screen printing cool stuff in our art studio. It's where we recharge our Ripe. Len, up to mischief then, and now. Keepsakes on the desk of, talented artist, Thomas Christopher Haag, at his art studio. Ripe helps companies unleash the power of their brand to create a strategic market advantage, a focused and knowledgable staff and sales force, and an energized and loyal customer following. A fully engaged brand builds trust, intrigue and loyalty in the marketplace, and consequently transcends customer fear, confusion, doubt or even price to become the single most significant reason to choose one brand over another. Since 1998, we’ve worked with hundreds of clients to make their business stronger, more visible, and more profitable through branding. Many of our clients have been in business for several years, have been successful, and must engage multiple audiences through numerous media channels with an outdated and ineffective communication system. Some are starting new businesses, expanding product lines or services, and some are just misrepresented by expired marketing tools. 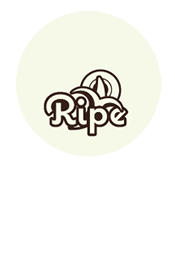 These are a few reasons why companies initially hire Ripe. We work with businesses small and large, in myriad industries including; education, healthcare, technology, B2B, retail products, restaurants, B2C, non-profits, professional services, and more. We have created specific service programs to effectively help new and small businesses begin building a brand, and to help established businesses uncover and fully activate the power of their brand to boost their success. Although we work with all types of businesses, our most successful partnerships are with strategic thinkers who embrace change. Our approach is equal parts brains and beauty. We research, analyze, poke and prod. We find meaning, and then create a beautiful visual and verbal language to articulate that message. As a result of Ripe's methodical branding process your business becomes more recognizable, more meaningful, more exciting and valuable to customers. Through our experience of helping clients build their brands over the years, we’ve found that every business significantly benefits by engaging the power of its brand—let’s get started on yours.